Hello there Peter Bergsten, Professor of Medical Cell Biology, specifically experimental diabetes research, at the Department of Medical Cell Biology and the Department of Women’s and Children’s Health, Uppsala University. Your research is broad-based and on three different levels – from molecules to society. Tell us about it! 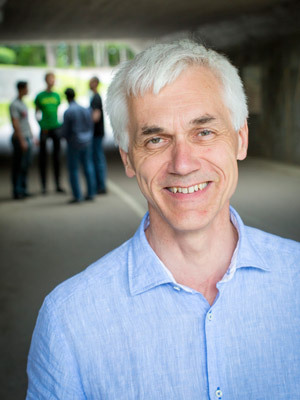 Peter Bergsten, Professor of Medical Cell Biology. “We provide care to obese and severely overweight children at Uppsala University Children’s Hospital, where we are able to examine them in greater detail and try new treatments developed for this patient group. “At MCB, we are studying the underlying causal context at the cellular and molecular level to gain more knowledge about the factors underlying obesity and related diseases, such as type 2 diabetes and cardiovascular disease. How did the collaboration with South Africa begin? “The international Uppsala Health Summit conference in 2016 focused on the causes of childhood obesity. We had invited someone from South Africa to attend. We later followed up on our contacts and the outcome was our inclusion in the SASUF project, which further energises the collaboration. “Our goal is to develop ‘ECHO zones’ (Ending ChildHood Obesity) in Sweden, inspired partly by the work taking place in South African communities. But our communities are more limited to a geographical area, a town or a city district. We are planning to start pilot projects with ECHO zones in Tierp, Värnamo and Gotland.